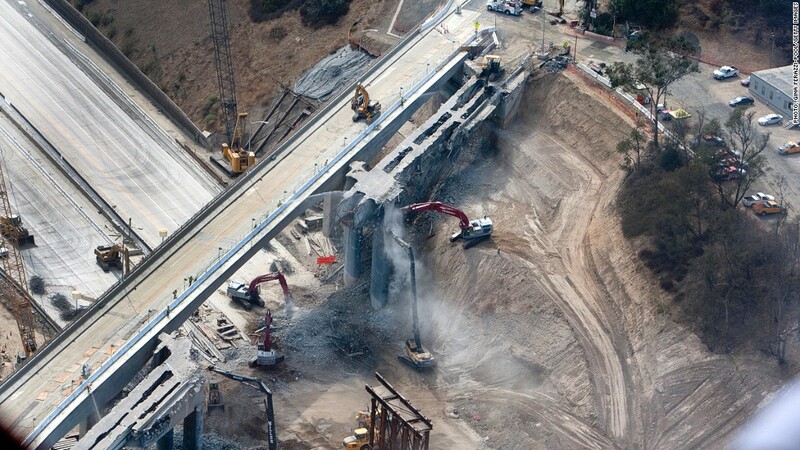 Major infrastructure projects, like this freeway reconstruction in Los Angeles, are a hard sell to find funding for. 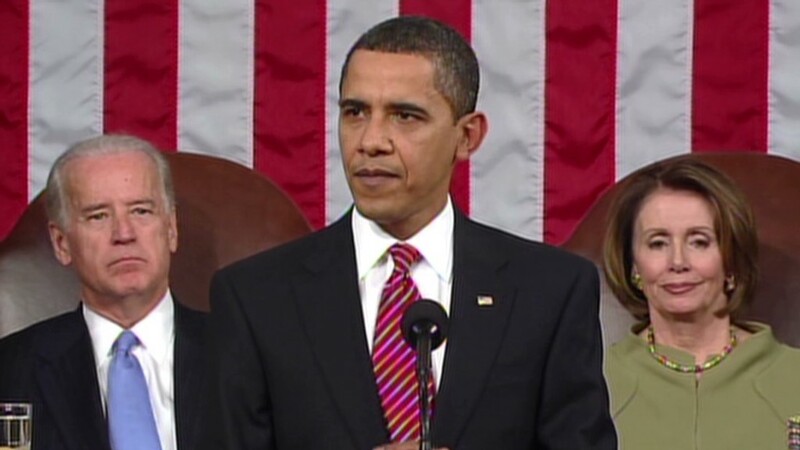 President Obama once again called for billions more in federal spending on roads, bridges, rail and other infrastructure projects in his State of the Union address Tuesday night. He's not likely to get it. Funding for the Department of Transportation was $73 billion in 2012. That number includes federal capital spending on things such as roads, bridges, passenger rail, buses, waterways, ports and aviation, as well as some operating costs. It represents about 30% to 40% of what the country spends on transportation infrastructure each year, with the rest coming from state, local or private sources. DOT's budget has gone up steadily since 2003, when it was about $59 billion. That's in addition to the $50 billion or so the government spent on transportation projects as part of the stimulus effort in 2009. But many, including Obama, say that's not enough. In each of the last two years, Obama has proposed an additional $50 billion lump sum that would be used for not just roads but also for high-speed rail, ports, and items like bike lanes and pedestrian walkways designed to make urban living better. Both times, his pitch has fallen on deaf ears. Even the DOT's yearly funding has been piecemeal. Congress typically funds transportation bills in six-year increments, but the agency has been relying on ad hoc extensions for its budget since 2009. Some say the lack of investment is hurting the country. If more money isn't spent -- $1.1 trillion more from all funding sources by 2020, according to the American Society of Civil Engineers -- deficiencies in the nation's infrastructure will cost the country almost $1 trillion a year in lost business sales and 3.5 million jobs. "Infrastructure is the physical framework upon which the U.S. economy operates," ASCE wrote in a report last month. "Everything depends on this framework, including transporting goods, powering factories, heating and cooling office buildings, and enjoying a glass of clean water." Waste and drinking water projects are particularly underfunded. ASCE predicts that sector will receive only a third of its required funding by 2020. Roads and surface transportation will only get about half their projected $1.7 trillion need for capital projects. Inland ports and waterways also are funded at about of their needs. The electric grid and airports fare better, receiving most of the funding they require, according to ASCE. People may feel the financial impact of underinvestment most directly on the roads. Researchers at the Texas A&M Transportation Institute estimate that, unless spending increases, congestion and rough roads will cost the average Texas household $6,100 a year in wasted fuel, vehicle repairs, and time lost sitting in traffic between now and 2035. The Transport Institute has identified several roadways that need urgent attention, especially in and around New York City, Los Angeles, San Francisco and Atlanta. "Rebuilding America's infrastructure is a top-tier issue that should be able to achieve bipartisan support," said Bracken Hendricks, a senior fellow at the left-leaning Center for American Progress who specializes in energy and infrastructure. "Mayors and governors need help, local industries are threatened, the banks aren't lending, and government budgets are tapped." But getting everyone on board isn't easy. Despite the dire predictions from groups like ASCE, some say the situation isn't all that bad. "To hear some people tell it, you'd think we were Haiti," said Ron Utt, a transportation consultant and former budget official in the Reagan administration. Utt's fine with more spending on roads in certain congested areas. He even thinks most of the stimulus money was probably well spent, even if it didn't create the jobs it promised. But he thinks funding for things such as high-speed rail or bike lanes is a waste. He says the big numbers put out by ASCE are what it would take to bring the nation's roads up to perfect condition, and notes a Federal Highway Administration report saying the number of roads in good condition each year is going up. "They may not be perfect, but we go through life with imperfections," he said. "There no reason to spend all that money on something where the benefits won't outweigh the costs."